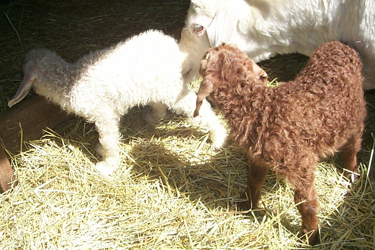 Our home-grown Angora goats are selectively bred for their luxurious mohair. 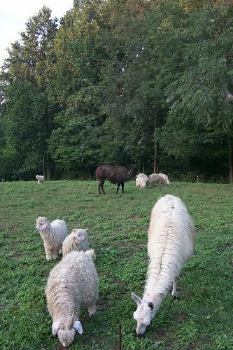 Shown here are a variety of scenes from our herd. 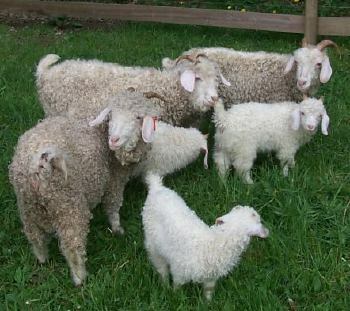 Contact us if interested in purchasing one of our goats. Llamas watching our grazing goats. 3-year old Norman for sale.